Nicola Benedetti explores her Scottish roots in an album combining the traditions of classical and Scottish folk music. The inclusion of Bruch's "Scottish Fantasy" which uses traditional tunes, including those of Robert Burns, neatly links to three Burns songs arranged for violin and orchestra. The Scottish folk music that ends the album includes some of Scotland's most esteemed folk musicians including the singer Julie Fowlis . . . Benedetti joins in the ensemble with real gusto and feeling for the music. The music of Benedetti's homeland is clearly close to her heart and performed with sensitivity throughout this refreshing album. Benedetti celebrates her identity . . . "Scottish Fantasy" has a windswept spirit . . . ["Mouth Music"]: Julie Fowlis's vocal and Aly Bain and Duncan Chisholm's fiddles inscribing whirls alongside Benedetti . . . The virtuoso violinist shows off her versatility . . .
. . . [with this] deeply personal album Benedetti explores the music of her native Scotland, combining the traditions of both classical and folk music . . . This is a thoughtful and imaginative selection of music, lovingly and impeccably performed, that will delight Nicola Benedetti's legion of fans.
. . . [Bruch / "Scottish Fantasy"]: her lovely, expressive tone takes flight against a backdrop of brooding horn-section hills . . . Benedetti is clearly having fun with the folkies . . . Brilliant combination of the Bruch "Scottish Fantasy" with traditional Scots fiddling . . . what does seem to have happened is the Scots element has provided some cross-fertilisation with the Bruch . . . Bruch takes a group of Scots traditional tunes and throws them into the mill of German romanticism. Benedetti's performance balances both these traditions within the work. The "Introduction" is gravely impressive with Benedetti playing with lovely slim and elegant tone. At her first entry she steals in almost unnoticed -- magic. In the "Scherzo" things get characterfully vigorous, with a nice bounce to the rhythms. Benedetti throws off the bravura elements with aplomb. Both she and MacDonald keep the movement very toe-tapping. The "Andante" has a singing melancholy about it again with a lovely sweet tone and fine flexibility from Benedetti. Finally a perky and infectious finale with a nice snap to Benedetti's playing. In the hands of some performers the "Scottish Fantasy" can seem a poor relation to Bruch's First Violin Concerto. But here Benedetti, MacDonald and the BBC Symphony Orchestra re-invigorated the work in an enjoyably notable performance . . . [Burns / Songs]: The first and last receive quite luxuriant treatments for violin and orchestra from arranger Paul Campbell. Whilst they are unashamedly romantic, they are also very appealing and stay just this side of soupy . . . [Limonov / "Auld lang syne"]: a stunning set of unaccompanied variations with Benedetti creating drone accompaniment by double stopping. The traditional music sets are just magic . . . they are all a complete delight. But I am aware that we are listening to a fascinating rapprochement between two very different traditions . . . a lushly lovely arrangement by Campbell of "Bonnie Banks of Loch Lomond".
. . . [Bruch / "Schottische Fantasie"]: Benedetti gives a transparent and brilliant performance that alleviates some of the work's heavy Germanic character . . . [Burns]: Benedetti pours her warmest expressions into these airs. In two songs, "Bothan a bh'aig Fionnghuala" and "Coisich a Rùin", Benedetti is joined by Julie Fowlis, whose fluent delivery in Gaelic gives the songs authentic color and texture . . . a personal and intimate album, thanks to Benedetti's ingratiating playing and the poignant tone . . .
. . . a rich cinematic sound that brims with nostalgia and emotion. Benedetti achieves a natural sound full of easy, improvisatory virtuosity. Soaring over her colleagues in "My Love Is Like a Red, Red Rose" she sounds completely at home. Listening to her fiddling freely through a reel called "Hurricane Set," you can feel her joy. This was a great idea for a crossover album, and it really works. [Bruch / "Schottische Fantasie"]: You sense the music in her Scottish blood . . . we are reminded of Benedetti's significant stage presence and her undeniable gifts in communicating her enjoyment in playing to an audience. Her assured technique sees her through all the formidable obstacles en route to that energetic finale . . . The BBC Scottish SO conducted by Rory MacDonald share Benedetti's rapport with this music, playing from the heart. In her notes, Benedetti offers an intelligent discourse on the options open to her in adapting and interpreting the indigenous folk-music tracks . . . Her infectious way with the reels would brighten up any Hogmanay or Burns night.
. . . [Bruch / "Schottische Fantasie"]: her deft and soft touch befits the warmth of this music from some of the coldest and windiest climes in the United Kingdom. The "Scottish Fantasy" is a challenge for soloist and orchestra, and the BBC Scottish Symphony Orchestra joins Benedetti for a rousing, prideful performance . . . [the group of musicians] shines on the lively "Hurricane Set" and the lilting "The Gentle Light That Wakes Me" by Cunningham . . . a lush arrangement of "Ae Fond Kiss" and a sparse take on "Auld Lang Syne" that brings out the melancholy in the lyrics . . . "Homecoming" is a session you won't want to miss.
. . . one of the world's leading musicians . . . A single listen to [this album]: one understands why the world has fallen in love with her. Her playing is both sensitive and virtuosic . . . [Bruch / "Schottische Fantasie"]: With the BBC Scottish Symphony providing rousing support and a feeling for Scottish idioms and rhythms always foremost, the entire work comes off with high spirits and flair . . . Ms. Benedetti's interpretation is so affectingly charming that one must consider it a viable contender . . . [the three tunes for solo violin and orchestra] are entirely delightful . . . Ms. Benedetti and members of the orchestra end the set with a traditional yet quite-touching rendition of "Bonnie Banks of Loch Lomond." It's a lovely album . . . There's a realistic sense of space, depth, and resonance to the orchestra, with Ms. Benedetti's violin nicely integrated into the orchestral setting . . . Overall, it's pleasant, listenable sound . . . fairly easy on the ear. Benedetti obviously loves this music and plays with great feeling . . . The lyrics are sung in Gaelic and they add an extra beauty -- and mystery for those who don't understand the words. The most interesting piece is "Auld lang syne variations," played at a tempo far slower than it is sung at New Year's parties -- and all the more beautiful for that. The program notes give valuable information about the music and about Robert Burns. Yes, this is a Grabbit, even for non-clans folk. [Bruch / "Scottish Fantasy"]: For Nicola Benedetti this is very much home territory -- her first entry emerges imperceptibly as thought through an early morning mist, before soaring aloft with a chaste tenderness that captures the reflective mood to perfection . . . the slow movement glows with a real sense of poetic sensitivity and Benedetti relishes the finale's "Scotch snap" rhythms . . . a series of expert arrangements of popular melodies and evocative pieces by Phil Cunningham and James Scott Skinner. Benedetti's personal sense of identification with this music is palpable as she shapes these timeless phrases with a devoted intensity and (where appropriate) folk-band rejoicing that is highly contagious. The recorded sound is excellent.
. . . [the album] strikes a series of happy chords, and it achieves the rare feat of managing to be successful both as a classical and as a folk album . . . [Bruch's "Scottish Fantasy"] works very well. Benedetti works harmoniously with Macdonald and his orchestra so that it never comes across as a one-woman show, and the tub-thumping moments, most notably the famous finale, come off with plenty of fizz and flair . . . The rest of the album is a set of folk collaborations and it's this that I enjoyed the most . . . The recorded sound is generous and appropriate to the different kinds of music on offer, and Benedetti's own booklet notes are extensive and personal . . . This disc confirms Benedetti as a most versatile artist and deserves to win her many more friends . . . and not just north of the border.
. . . deeply personal . 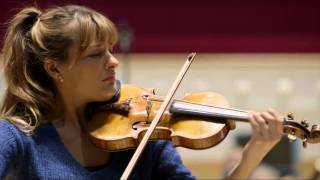 . . At the very heart of the album is a stunning new recording of Bruch's "Scottish Fantasy", a work that brilliantly captures Scotland's folklore, landscape and people.
. . . another great Nicola Benedetti recording . . . she's turned towards her roots -- folk music, reels, jigs and some sweetly sentimental patriotic tunes. Nice work . . . Throughout, the constant is Benedetti's miraculous musicianship: while, as a bonus, her disc notes show that she's also a wonderfully evocative writer. Dass Benedetti für diese CD intensiv gearbeitet hat, hört man . . . die Bogenführung und Ornamentierungen des fiddle-Spiels hat sie [adaptiert] . . . Für die nötige Authentizität sorgt die Crème der schottischen Folk-Zunft, darunter Phil Cunningham, . 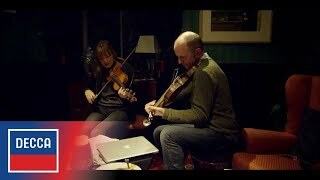 . . die erdig-exotisch singende Julie Fowlis und der über jedem thronende Altmeister der schottischen fiddle-Kunst, Aly Bain . . . [Bruch / "Schottischer Fantasie"]: mit so schottisch eingestellten Ohren hat der Klassik-Kenner das Konzert selten gehört . . . Eine CD, die durchaus verführt, schon jetzt Flüge für den nächsten Sommerurlaub zu buchen. Natürlich nach Schottland.
. . . Benedetti und das BBC Scottish Symphony Orchestra unter Rory Macdonald liefern eine technisch blitzsaubere und emotional anrührende Version der "Schottischen Fantasie" von Max Bruch ab. Man hört der Aufnahme an, dass die Interpreten hier ein musikalisches "Heimspiel" haben . . .
Hier präsentiert sich eine sehr begabte Geigerin, die einen anziehenden, angenehm gerundeten Ton kultiviert . . . Max Bruchs folkloristisch angehauchte "Schottische Fantasie" ist gewissermaßen der "klassische" Teil dieses reizvollen Crossover-Projekts . . . Die Interpretation mit Nicola Benedetti und dem BBC Scottish Symphony Orchestra zieht an, Bruchs "Fantasie" scheint allen eine Herzensangelegenheit zu sein. Entspannt und atmosphärisch dicht setzt sich zu Beginn der Strom von Musik in Gang, Benedettis romantischer Ton entfaltet sich immer wieder betörend schön. Das klingt alles sehr natürlich und schlüssig, als hätte sie schon lange mit dem Werk gelebt. Organisch wirkt dann auch der Übergang zu den zehn folgenden Titeln aus dem Fundus der schottischen Folkmusik, man bleibt in der Stimmung . . . Da geht es dann wirklich "back to the roots", schottische Melodien und "Traditionals" können so frisch und schön gefühlvoll sein.